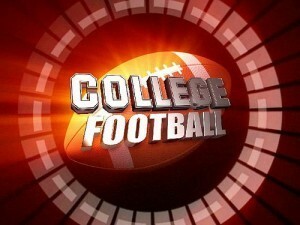 Free College Football Picks Archives - NSAwins.com – Expert Sports Picks from USA's #1 Sports Handicapping Service! Tag Archive | "Free College Football Picks"
2016 College Football Picks and Predictions – Top Matchups and Free Picks for Week 13: The 2016 College Football Season is in its home stretch, and most divisions and conferences will be decided in the next couple of weeks. Week 13 has added drama because it is rivalry week, and some of the most storied rivalries in the sport’s history will be renewed this weekend. With that in mind, let’s take a closer look at the top matchups for a loaded Week 13 slate. .Yes, these teams boast identical conference records, but while the Cougars have been squeaking by most of their opponents, the Huskies have been blowing a lot of the same teams off the field. This is still the same Cougars team that lost to Eastern Washington early in the year and was run over by Colorado last weekend. The Huskies are the better team, and they will eventually grab the upper hand in this game. As if this rivalry wasn’t big enough already, the winner of this one will likely lock up a spot in the College Football Playoff. The Buckeyes are at home and haven’t lost to the Wolverines since Urban Meyer become the head coach, but it is safe to say that this is the best Michigan team the Meyer led Buckeyes will have faced. The Wolverines may have to use their backup quarterback, and regardless of who is under center for Michigan, J.T. Barrett gives the Buckeyes an edge at the position. That being said, Ohio State has struggled all year with teams that can outmuscle them in the trenches. From the loss to Penn State to close calls against Wisconsin and Michigan State, the young offensive line of the Buckeyes is still a work in progress, and the offense becomes much less dynamic when the line is struggling. Enter the Wolverines, who have one of the best defensive fronts in the country. Expect a close, low-scoring affair with the Wolverines covering, if not pulling the outright upset. Win or lose, the Crimson Tide will be playing in the SEC title game, but that doesn’t mean the Tigers won’t be trying to knock out their rival. The Iron Bowl is one of the most heated rivalries in college football, and you only have to look back a couple of years to be reminded that anything can happen in a rivalry game. Yes, Alabama is clearly the better team on both sides of the ball, but Nick Saban can play things a little conservative in big games. Remember that 10-0 win over an inferior LSU team a few weeks back. Meanwhile, Auburn has had a way of forcing teams to play ugly, including in low-scoring games against Clemson, Texas A&M and LSU. I don’t expect any miracles this time around for the Tigers, but I do see them hanging around and keeping things from getting completely out of hand. Auburn hasn’t lost by more than 13 all year, and I like the trend to continue. Both teams are ranked high in the polls, but make no mistake about it, this game is far more important for Colorado. With a win the Buffaloes will earn a spot in the Pac-12 title game, putting themselves in position to make the Rose Bowl, if not sneak into the College Football Playoff. Quarterback Sefo Liufau and running back Phillip Lindsay form an impressive offensive combination for Colorado, and the Buffaloes have been stout on the defensive side of the ball at times, as well. Granted, Utah has looked as dominant at times, but it is fair to question the Utes’ consistency. Colorado’s two losses have come on the road to Michigan and USC, but Utah added an unforgivable loss to Oregon last weekend to a resume that already featured a questionable loss to California. Playing at home, I like the Buffaloes to take command and pull away. There are no conference implications at stake, but there will still be plenty of intensity between these in-state rivals. The Seminoles have failed to get over the hump in big games this year, but the Gators have been the beneficiaries of a schedule that didn’t include a majority of the SEC West powers. Florida’s defense is legit, but at times, it seems like the Gators may never score a point. On the year, they rank 92nd in points for while allowing the third-fewest points per game. Florida’s style of play is good news for a Florida State team that has struggled against teams with high-powered offenses. In this matchup, the Seminoles will have the best offensive player on the field in running back Dalvin Cook. Meanwhile, Florida’s worst loss this year came against an Arkansas team that established the run early and never let up. I expect FSU to ride Cook early and often and put enough points up to get by the Gators. 2 EASY STEPS to BET on the 2016 College Football Odds! STEP 2: Deposit with Credit Card or Bitcoin and get a 100% BONUS instantly FREE upto $250! 2016 College Football Picks & Predictions – Week 12 Free College Football Picks 11/19/16: The 2016 College Football season enters week 12 of the schedule this week and Saturday’s card is action packed with great games to watch and, more importantly, great games to bet on that should make us some easy money. We recommend you to check out NSAwins.com this week for the nation’s best college football picks plus check below for three fantastic free college football picks that we look to get us the money this Saturday. South Florida -13 over SMU – The South Florida Bulls travel to Texas to take on the SMU Mustangs tonight in a game that has the odds makers listing South Florida as a strong -13 point favorite. The Bulls are still in position to reach the AAC Conference Title Game if Temple slips up and loses one of their remaining two games but the Bulls need to take care of business and win out. South Florida’s offense is one of the most explosive in the nation and should feast upon a terrible SMU defense that enters this game ranked 88th in the country in points allowed per game at 32.5. South Florida’s defense isn’t much better but their offense is far and away the most dominant unit on the field tonight and we have a tough time seeing how SMU can keep this game close. Lay the points with South Florida and watch them roll by 3-4 touchdowns. Washington -27 over Arizona State – The Washington Huskies got a gift already this week with Louisville losing at Houston to take the Cardinals out of the College Football Playoff conversation and giving Washington the opportunity to control it’s own destiny if it wins out in our opinion. Washington is coming off of a 26-13 loss at home to USC last week but the Huskies somehow stayed in the race for the College Football Playoff as Michigan and Clemson also lost as well. Look for Washington to bounce back big today against an Arizona State team that has been awful this season and is on a four game losing streak. Arizona State’s defense is putrid as they rank 115th in the nation in scoring defense and Washington’s offense is ranked 5th in the nation in points scored per game. Lay the points and watch Washington cover this spread big time by winning by 6 or more touchdowns. Oregon @ Utah OVER 69.5 – The Oregon Ducks are simply playing for pride the rest of the season as they enter 3-7 overall today to battle the 8-2 Utah Utes. The Ducks will be seeking revenge for a 62-20 loss at home last season to Utah and will need to bring their “A” game if they plan on having any chance at the outright win today. Utah still has an outside chance at reaching the PAC 12 Championship Game and should come into today’s game focused and ready to feast upon a terrible Oregon defense that’s ranked 126th in the nation in points allowed per game at 43.5 points. We look for Utah to easily score 50 plus points in today’s game while Oregon should be able to get a bunch of points as well against a Utah defense that has allowed 102 points over the last three games. Play the OVER and watch this game be a shootout and easily go OVER the 69.5 point total. 2016 College Football Picks & Predictions – Week 10 Free College Football Picks 11/5/16: The 2016 College Football season enters week 10 of the schedule this week and Saturday’s card is action packed with great games to watch and, more importantly, great games to bet on that should make us some easy money. We recommend you to check out NSAwins.com this week for the nation’s best college football picks plus check below for three fantastic free college football picks that we look to get us the money this Saturday. Florida -3.5 over Arkansas – The Florida Gators enter this game at Arkansas with a 6-1 overall record and sitting pretty atop the SEC Eastern Division with a 4-1 record. The Gators have been outstanding on the defensive side of the ball this season as they have the nation’s 2nd rated scoring defense. The Gators will be battling a 5-3 Arkansas team that is reeling after getting absolutely annihilated last Saturday at Auburn to the tune of 56-3. The Razorbacks are one of the most overrated teams in the nation in our opinion and we see no reason to believe that they will be be able to move the ball and put up enough points to hang with Florida this weekend. Lay the -3.5 points with a much better Florida team and watch them win by 10 or more points comfortably. TCU +8 over Baylor – Head coach Garry Patterson leads his struggling 4-4 TCU team into Waco, TX this Saturday to take on a 6-1 Baylor Bears team coming off of it’s first loss of the season last week(35-34 at Texas). TCU is getting +8 points in this matchup and we will be all over it as these two teams are a lot more closely matched than the spread and public perception indicates. Baylor is 6-1 but their six wins have all come against bad football teams minus a 35-24 win over Oklahoma State at home. Meanwhile, TCU hasn’t beaten anyone good either but their four losses have all come against solid bowl teams in Arkansas, Oklahoma, West Virginia and Texas Tech. The Horned Frogs have lose three of those four games by 6 points or less and we feel they can keep this game close too, if not win outright. Take the points and watch TCU possibly spring the outright upset but cover easily regardless. Alabama at LSU OVER 45 – The best rivalry in the SEC over the last decade gets back at it this Saturday night in Baton Rouge when the top-ranked Alabama Crimson Tide take on the LSU Tigers. The spread on this game is Alabama -8.5 but the total is what we love as we look for this game to go OVER 45 points. The Crimson Tide offense has been rolling all season long as they’ve scored 34 or more points in every game including 48 points or more in 5 games. Alabama is facing it’s toughest defense yet in a LSU defense that enters this game 5th in the nation in points allowed. However, LSU hasn’t faced an offense yet as explosive and talented as Alabama’s. On the flip side, LSU’s offense has been rolling of late as they’ve scored 42, 45 and 38 points in their last three games since former head coach Les Miles was fired. We look for LSU to be able to put up at least 17-20 points in this game and for this game to easily go over as we see no reason to think Alabama won’t put up at least 31 plus points. Play the OVER. 2016 College Football Picks & Predictions – Week 9 Free College Football Picks 10/22/16: The 2016 College Football season enters week 9 of the schedule this week and Saturday’s card is action packed with great games to watch and, more importantly, great games to bet on that should make us some easy money. We recommend you to check out NSAwins.com this week for the nation’s best college football picks plus check below for three fantastic free college football picks that we look to get us the money this Saturday. Utah +10.5 over Washington – The 4th ranked and 7-0 undefeated Washington Huskies go on the road today in what will be their toughest test yet against the 7-1 Utah Utes. The odds makers have made Washington a -10.5 point favorite but we see them having a tough time winning the game outright never mind covering. Washington is the better overall team but not by as much as the experts would like you to believe. Washington is unbeaten but who have they beat? Their big win over Stanford has lost it’s luster after we’ve seen Stanford for the mediocre team they are this year and their big win over Oregon is meaningless after everyone is beating up on the Ducks. Meanwhile, Utah has beat BYU, USC and UCLA and are a very tough team to beat at home. 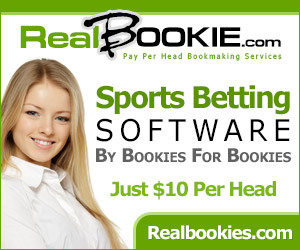 Look for this game to be close throughout with the winner winning by a touchdown or less. Take the points. Oklahoma -40 over Kansas – Head coach Bob Stoops has his Oklahoma Sooners hitting their stride as we close out October as the Sooners are on a 4 game winning streak after starting the season 1-2. The Sooners offense has been simply phenomenal the last four weeks including 66 points and 854 yards of total offense last week in a 66-59 win at Texas Tech. The Sooners defense has been pitiful on the other hand but they should have no trouble stopping a Kansas offense that is ranked 110th nationally in points scored and has scored 23 points or less in their last six games. Oklahoma’s offense shouldn’t have to punt more than once all game and should easily win this game by 7-8 touchdowns over an awful Kansas team that is outmatched on both sides of the ball talent-wise by a lot. Lay the points and take Oklahoma on the huge spread. Florida State +5 over Clemson – The Florida State Seminoles have no chance at winning the ACC this season with Louisville and Clemson both ahead of them but they can play spoiler and get themselves back into the Top 10 nationally with a big home win at Doak Campbell Stadium tonight. Clemson has always struggled at Florida State and haven’t beaten the Noles since 2006 in Tallahassee. The Seminoles and Tigers have both had an extra week to rest and prepare for this huge ACC showdown and this game should be one of the best games in all of college football today. We are going to take the +5 points with the home underdog tonight as FSU’s offense should be able to keep them in it all game and Clemson’s offense hasn’t exactly fired on all cylinders this season and shouldn’t run away and hide in this game. Look for a barn burner tonight that will be very close and take the home dog to get us the money. 2016 College Football Picks & Predictions – Week 8 Free College Football Picks 10/22/16: The 2016 College Football season enters week 8 of the schedule this week and Saturday’s card is action packed with great games to watch and, more importantly, great games to bet on that should make us some easy money. 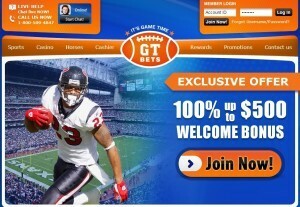 We recommend you to check out NSAwins.com this week for the nation’s best college football picks plus check below for three fantastic free college football picks that we look to get us the money this Saturday. Louisville -19 over NC State – The Louisville Cardinals look to get back on track and return to their high flying offensive ways on Saturday when they host the NC State Wolfpack. Louisville enters this game 5-1 overall and coming off of a lackluster 24-14 home win last Friday night against a mediocre Duke team. Louisville had to be suffering some sort of hangover emotionally after losing the week prior at Clemson 42-36. Louisville won’t be overlooking NC State this week as the Wolfpack are 4-2 overall and coming off of a 24-17 overtime loss at Clemson themselves. Louisville’s offense behind Lamar Jackson should get back to it’s high octane ways on Saturday and we look for Louisville to easily roll to a 4 touchdown or more win over a solid but hardly great NC State team. Lay the -19 points and take Louisville. TCU +6.5 over West Virginia – Head coach Gary Patterson leads his TCU Horned Frogs into Morgantown, WV on Saturday looking to give West Virginia it’s first blemish on their undefeated record this year so far. TCU comes in 4-2 overall and coming off a surprisingly poor 24-23 win at Kansas last week that almost saw them lose as -28 point favorites. TCU knows it has to play better if it wants to beat 5-0 West Virginia who has been rolling this season and are coming off of a dominant 48-17 win at Texas Tech last week. TCU has owned the four head-to-head matchups between these two schools the last 4 years going 3-1 including a 40-10 win last season at home. The Horned Frogs are getting +6.5 points from the odds makers on Saturday and that should be more than enough to get the cover against the spread as we also feel TCU has a strong chance to win this game outright. Take the points and watch TCU cover this one with ease. Oklahoma at Texas Tech OVER 85 – The 4-2 Oklahoma Sooners travel to Lubbock to battle the 3-3 Texas Tech Red Raiders on Saturday in what odds makers are figuring could be an enormous shootout with the total at over/under 85 points. It’s hard to argue against that and we feel this game has all the makings of an absolute shootout that could see both teams combine to score over 100 points. The Red Raiders can score with the best of them and they will be motivated to get their offense back in gear Saturday after only scoring 17 points last week at home in a 48-17 loss to West Virginia. Texas Tech should be able to move the ball against an Oklahoma defense that allowed 40 points or more in three straight games before last week’s 38-17 win against Kansas State. Meanwhile, Oklahoma’s offense has to be salivating to go up against a Texas Tech defense that is beyond brutal. Texas Tech has allowed 44 points or more in four of their last five games and gave up 63 points last year in a 63-27 loss at Oklahoma. Play the OVER in this game and watch the scoreboard be lit up all game long. Get daily updated 2016 College Football betting odds for the 2016 football season on NSAwins.com in addition to daily LIVE odds to win the 2017 College Football Playoff National Championship. 2016 College Football Picks & Predictions – Week 5 Free College Football Picks 10/15/16: The 2016 College Football season enters week 7 of the schedule this week and Saturday’s card is action packed with great games to watch and, more importantly, great games to bet on that should make us some easy money. We recommend you to check out NSAwins.com this week for the nation’s best college football picks plus check below for three fantastic free college football picks that we look to get us the money this Saturday. Oklahoma Sooners -14 over Kansas State Wildcats – A battle of two 3-2 Big 12 teams takes place at noon est on Saturday when the Oklahoma Sooners host the Kansas State Wildcats in Norman, OK. head coach Bob Stoops’ team has rebounded nicely the last two weeks with wins over TCU and Texas on the road after losing two of their first three games. Now the Sooners look to keep it rolling this week against a Kansas State team that they absolutely mopped the field with last year on the road to a tune of 55-0. Head coach Bill Snyder has a nice team this year that should go to a bowl but they are 0-2 on the road thus far with losses at Stanford and at West Virginia. We look for the Sooners to have a tougher time than they had last year but they should still comfortably win this game by 3 touchdowns or more. Oklahoma is simply too physical and fast on both sides of the ball for Kansas State to compete with for 60 minutes. Lay the points and take Oklahoma. Florida State Seminoles -21.5 over Wake Forest Demon Deacons – The Florida State Seminoles saved their season last week with a hard fought 20-19 win at Miami-Fl to avoid falling to 3-3 and out of the Top 25. Instead the Seminoles are now 4-2 and ranked 14th in the nation as they welcome Wake Forest in Doak Campbell Stadium in Tallahassee this Saturday. Wake Forest has played well so far in going 5-1 overall but those five wins came against Tulane, Duke, Delaware, Indiana and Syracuse. The best team they played so far was NC State on the road and they were soundly beaten 33-16. The problem in this game for Wake Forest will be their horrendous defense trying to slow down a dynamic Florida State offense. Wake Forest gave up 611 total yards to Indiana and 527 yards to NC State but those two offenses are nowhere near as good as FSU’s. Lay the points and watch FSU’s offense go crazy all game long. West Virginia Mountaineers at Texas Tech Red Raiders OVER 83 – Can you say shootout? Fans better not get up to go the bathroom much watching this game as teams will be going up and down the field scoring points faster than you can say Crooked Hillary? Yes, indeed, the points will be going up on Saturday as Texas Tech welcomes West Virginia to Lubbock. Texas Tech comes in averaging 55.2 points per game and they will be going up against a West Virginia defense that has allowed 521 yards to BYU and 520 yards to Arizona State. West Virginia’s defense is far from elite and Texas Tech should have no problem scoring big again Saturday. Meanwhile, we all know Texas Tech’s defense couldn’t stop a draft with a blanket and they will have a hard time slowing down a West Virginia offense that put up 676 total yards at Arizona State and 624 yards against Youngstown. Play the OVER and watch this game cash in with ease. 2016 College Football Picks & Predictions – Week 5 Free College Football Picks 10/8/16: The 2016 College Football season enters week 6 of the schedule this week and Saturday’s card is action packed with great games to watch and, more importantly, great games to bet on that should make us some easy money. We recommend you to check out NSAwins.com this week for the nation’s best college football picks plus check below for three fantastic free college football picks that we look to get us the money this Saturday. Oklahoma -11 over Texas – The Red River Rivalry gets underway on Saturday when the Oklahoma Sooners travel to Texas to take on the Longhorns. The Sooners are 2-2 after a 52-46 win last week over TCU on the road while Texas is 2-2 after dropping their last two games including 49-31 last week at Oklahoma State. We love Oklahoma to win and win big on Saturday as they want revenge for last year’s 24-17 loss plus they should be able to absolutely feast on an awful Longhorns defense that couldn’t stop a nose bleed. Texas’ defense has already given up 47 points against Notre Dame, 50 points against California and 49 against Oklahoma State in 2016. The problem for Texas is Oklahoma’s offense is superior to all three of those teams by far and it wouldn’t surprise us at all if Oklahoma hangs 60 plus on the Longhorns Saturday. Lay the points and watch Bob Stoops and company absolutely roll over the Horns. North Carolina -3 over Virginia Tech – The 4-1 North Carolina Tar Heels host the 3-1 Virginia Tech Hokies on Saturday in a huge ACC Conference showdown. Both teams can separate themselves from each other with a win on Saturday and our money is going on North Carolina without any hesitation. Virginia Tech is 3-1 overall but those thre wins have come against Liberty, Boston College and East Carolina. Hardly a murderers row. There lone loss came at Tennessee where they were blown out 45-24. North Carolina on the other hand is coming off of a huge 37-35 road win at Florida State last week and their lone loss was a hard fought 33-24 loss on the road against Georgia. North Carolina is the better team and they are playing at home so the -3 point spread doesn’t scare us one bit. Lay the points and take the Tar Heels. Stanford -7 over Washington State – The 3-1 Stanford Cardinal return home looking to bounce back against the 2-2 Washington State Cougars after an embarrassing 44-6 loss at Washington last week on September 30th. The Cardinal should have no problem getting their offense humming this week against a Washington State defense that ranks 73rd in the nation. Stanford’s offense ranks only 114th in the nation in total scoring so far but those numbers are misleading when you consider how tough their schedule has been so far. Stanford has gone up against Kansas State, USC, UCLA and Washington so far and those defenses are all vastly superior to Washington State’s defense. We look for Stanford to come out motivated and angry after being embarrassed at Washington and for them to take out their frustration on a good but hardly great Washington State team. Lay the points and watch a superior Stanford team dominate. 2016 College Football Picks & Predictions – Week 5 Free College Football Picks 10/1/16: The 2016 College Football season rolls into week 5 of the schedule this week and Saturday’s slate is loaded with a bunch of exciting top notch games that are sure to help clarify the top of the rankings and shape the College Football Playoff picture further. We encourage you to check out NSAwins.com this week for the nation’s best college football picks plus look below for three superb free college football picks that we look to cash in for us this Saturday. Ole Miss -14.5 over Memphis – Can you say revenge? The 2-2 Ole Miss Rebels are licking their chops in anticipation of welcoming the 3-0 Memphis Tigers into their backyard at Turf of Vaught-Hemingway Stadium on Saturday. Ole Miss wants revenge big time for last season’s 37-24 loss at Memphis in which the Rebels were embarrassed as a -10 point favorite. Ole Miss has two losses this season against Florida State and Alabama in games that they had over 3 touchdown leads in the 1st half in both. Ole Miss is super talented and arguably a Top 10 caliber football team talent-wise and should be able to expose a Memphis team that has played well thus far in 2016 but has yet to be tested. They will be tested big time on Saturday and they will fail. Look for Ole Miss to romp. Lay the points. Oklahoma -3.5 over TCU – The Oklahoma Sooners are by far the best 1-2 team in the nation and still a Top 15 caliber football team in our eyes despite a slow start. The Sooners lost to two Top 10 teams at Houston and at home against Ohio State thus far but still possess the type of talent that is good enough to run the table and capture the Big 12 Championship in the process. The Sooner travel to Fort Worth to battle the 3-1 TCU Horned Frogs on Saturday who the Sooners have beat in 3 of the last 4 season including a 30-29 win at home last year. The Horned Frogs are unbeaten but they are far from the team that they were the last two seasons talent-wise and especially on offense. The Sooners should feast on a suspect TCU defense that allowed 41 points in a 59-41 win over South Dakota and 41 points in a 41-38 loss at Arkansas this season. Look for Oklahoma to put on an offensive show and easily cover the -3.5 point spread. Wisconsin +11 over Michigan – This is the game of the week in our eyes as the 4-0 Wisconsin Badgers travel to Ann Arbor to battle the 4-0 Michigan Wolverines in the Big House. Believe it or not, these two Big Ten powers have not played each other since 2010. How is that even possible? The Big 10 schedule makers should be ashamed of themselves. Having said all that, the odds makers have made Michigan a huge -11 point favorite in this game. We simply don’t see it as Wisconsin has proven it’s worth with a 16-14 win over LSU at Lambeau Field away from campus and a 30-6 road win at Michigan State last week. Michigan is 4-0 but hasn’t been tested and are playing their 5th consecutive game at home. The mental toughness and physical toughness of Wisconsin will allow them to hang tough all day on Saturday and they not only have a chance to cover the spread but they also have a chance to win outright. Take the points. 2016 College Football Picks & Predictions – Week 4 Free College Football Picks 9/24/16: The 2016 College Football season heads into the final weekend of September with week 4 action scheduled for Saturday, September 24th. Last week saw a big shakeup at the top of the polls with then 10th ranked Louisville absolutely destroying 2nd ranked Florida State by a score of 63-20. There isn’t a game on this week’s schedule as high profile as that one and some of the others last week but this week still has plenty of exciting games on the schedule. Be sure and stop by NSAwins.com this week for the nation’s best college football picks plus check below for three excellent free college football picks that we like to get us the money this weekend. East Carolina +11.5 over Virginia Tech – The Virginia Tech Hokies enter this matchup 2-1 overall and riding high on the hog after a dominant 49-0 win over Boston College last weekend. The odds makers have made the Hokies a strong -11.5 point favorite against 2-1 East Carolina but we are all over the points and taking East Carolina +11.5 on the spread. The Pirates have played Virginia Tech extremely well over the last handful of years including two outright wins the last two years. The Pirates have shown they can compete with Power 5 conference teams as they beat NC State 33-30 2 weeks ago and lost a close one to South Carolina 20-15 last week. We look for this game to be very competitive and for East Carolina to get the cover. Take the points. Southern Miss -10 over UTEP – The Southern Miss Golden Eagles look to get back on track and improve to 3-1 overall this weekend after dropping a 37-31 game at home to Troy last week. Southern Miss faces a UTEP team that is 1-2 overall and coming off of an embarrassing 66-14 woodshed beating at the hands of Army last week. The week before that UTEP was destroyed by Texas 41-7. UTEP is not a good football team and Southern Miss should have no problem blowing them out despite a suspect defense that is the reason why they aren’t undefeated any longer. Souther Miss has put up 56, 44 and 31 points in their first three games and should be able to break 50 on Saturday against a UTEP defense that is flat out awful. Ole Miss -7 over Georgia – Ole Miss is the best 1-2 football team in the nation, BAR NONE, as they gave Florida State and Alabama all they could handle and ultimately lost two tough games after being up 3 touchdowns in both. Ole Miss faces another tough team this weekend in undefeated Georgia who travel to Oxford with a 3-0 record. Georgia roughed up Ole Miss 37-10 at home in Athens the last time these two teams met back in 2012. We like Ole Miss in this matchup on Saturday as they are far too talented of a team to fall to 1-3 and need this game much more than Georgia. Georgia is a solid Top 25 caliber team but they are far from a national championship contender and Ole Miss should have plenty of confidence after already going toe to toe with much more talented teams in FSU and Alabama. Take Ole Miss -7 on Saturday and watch them roll to a two touchdown win. 2016 College Football Picks & Predictions – Week 3 Free College Football Picks 9/17/16: The 2016 College Football season is now in full swing and enters week 3 of the schedule this week. NSAwins.com’s team of expert college football handicappers are ready to rock and roll this Saturday with not only the nation’s best college football picks against the spread for premium members but also with three free college football picks posted below for the players looking to get an edge on a budget. No matter how you slice it, NSAwins.com is your source for the best college football predictions week in and week out and this Saturday will be no different. Florida State @ Louisville OVER 67.5 – This matchup should be an exciting game to watch as the 2nd ranked Florida State Seminoles travel to Louisville to take on the 10th ranked Cardinals. Both teams are exceptionally coached with FSU’s Jimbo Fisher and Louisville’s Bobby Petrino and both coaches are known for their offensive brilliance. This game has all the makings of a high scoring affair with two of the best quarterbacks in the nation this season leading the way with FSU’s Deondre Francois and Louisville’s Lamar Jackson. Both signal callers are early 2016 Heisman Trophy favorites and FSU also has another Heisman hopeful in running back Dalvin Cook who looks primed for a big day on Saturday. FSU comes into this game having put up 45 and 52 points in their first two games while Louisville has put up a remarkable 70 and 62 points in their first two. Both teams are hard to stop and this game looks like it could be one of those games where the team with the ball last has the best likelihood of escaping with the win. We’ll take the OVER as we see this game being high scoring from start to finish. Michigan -20 over Colorado – The Michigan Wolverines and Colorado Buffaloes both enter this week 3 matchup in the Big House in Ann Arbor with 2-0 records and both coming in off of two huge blowouts. However, that’s where the similarities end and we look for Michigan to flex their muscles and expose Colorado for the mediocre football team they are this Saturday. The Wolverines are the 4th ranked team in the nation and for good reason as they are a legit National Championship contender and should be ranked in or around the Top 5 all season long. Colorado is 2-0 and could possibly make a bowl this season which would be a great step in the right direction for head coach Mike McIntyre who is just 12-27 in his three plus seasons as Buffs coach. These two teams are nowhere close talent-wise in our opinion and Michigan should roll once again to another win with ease. Look for Michigan to win this game by 4 plus touchdowns. Lay the points. Kentucky -21.5 over New Mexcico State – Kentucky head coach Mike Stoops looks to get his Kentucky Wildcats into the win column this Saturday at home and keep the boo birds and boosters calling for him to be fired at bay. The Wildcats are a disappointing 0-2 after suffering a humiliating 44-35 home loss in their opener against Southern Miss that saw the Wildcats blow a 35-10 lead and then a 45-7 loss at Florida last week in their SEC opener. Meanwhile, New Mexico State is 1-1 after dropping their opener 38-22 at UTEP and coming back last week to win 32-31 against New Mexico. The Wildcats should be an angry football team this Saturday and have vastly superior talent than New Mexico State at basically every position. Kentucky cannot afford another loss and really has no business not winning this game by at least 5 touchdowns. We look for Kentucky to romp so lay the points.